Size of this PNG preview of this SVG file: 800 × 494 piogsail. Dùmhlachdan-breacaidh eile: 320 × 198 piogsail | 640 × 396 piogsail | 1,024 × 633 piogsail | 1,280 × 791 piogsail | 809 × 500 piogsail. 'S ann à Wikimedia Commons a tha am faidhle seo agus faodaidh gu bheil pròiseactan eile 'ga chleachdadh. 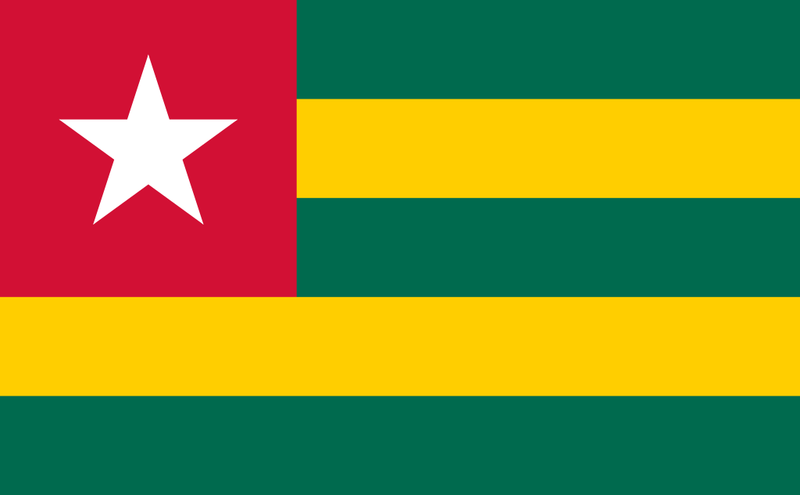 Chì thu an tuairisgeul a tha aice air [duilleag tuairisgeul an fhaidhle https://commons.wikimedia.org/wiki/File:Flag_of_Togo.svg] gu h-ìosal. Air a tharraing à "https://gd.wikipedia.org/wiki/Faidhle:Flag_of_Togo.svg"